Description: This elegant fabric wall luminaire blends fine American craftsmanship with quality materials. 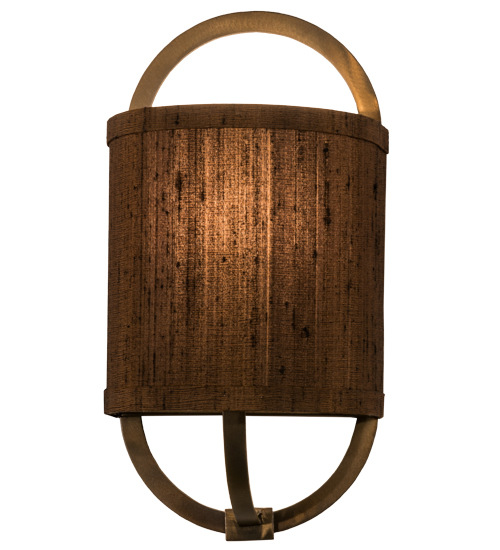 The Cocoa-colored fabric is set against a steel oval frame with a backplate featured in an Antique Copper finish. The sconce was custom built with the customer's own materials, as a feature of our custom lighting program. Other customers are welcome to send us their own hard backed materials to have this sconce custom furnished. The custom lighting design and production occurs at our manufacturing facility in Yorkville, New York. Contact factory for details.